Now there's a bargain if I do say so myself! 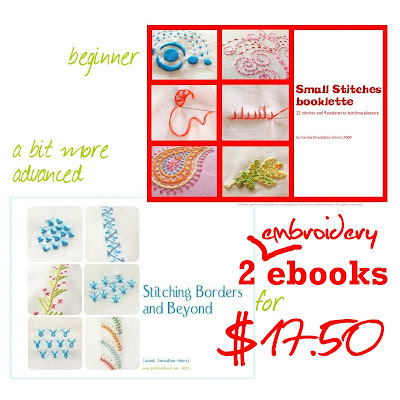 Get both my embroidery ebooks for $17.50. That's a pretty sweet deal. So if you've been eyeing the books now's your chance to strike! 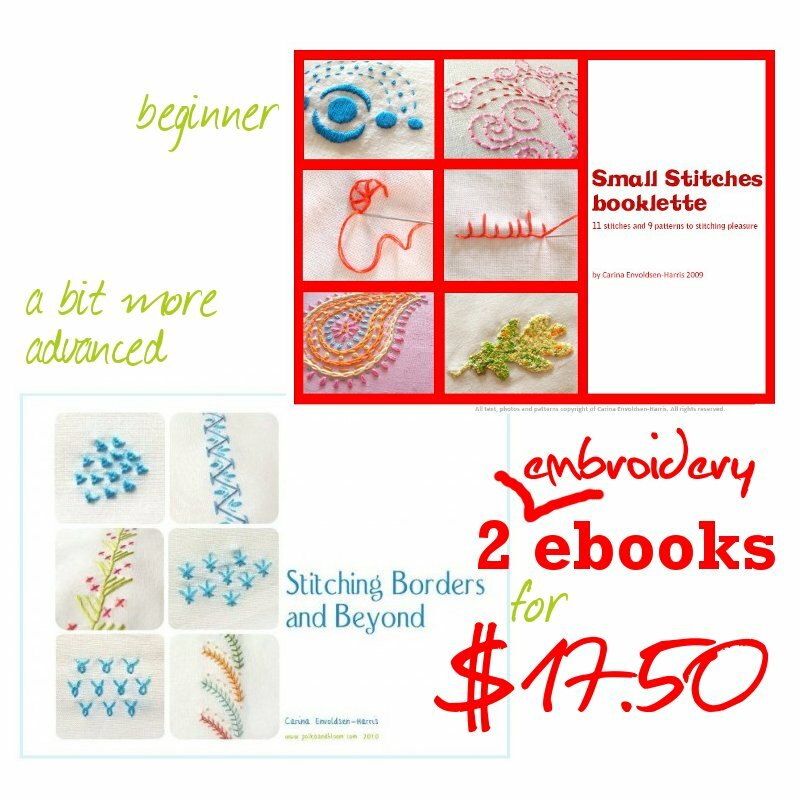 Available in the Polka and Bloom shops on Artfire and Etsy.